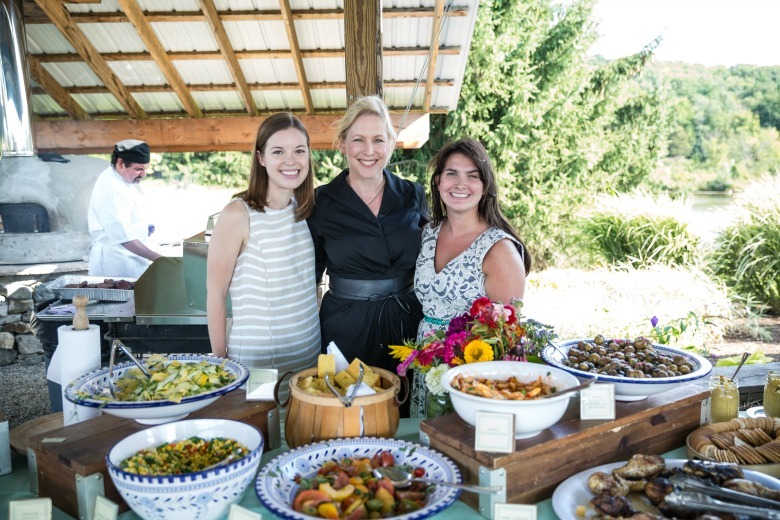 Senator Kirsten Gillibrand spoke of CSAs and other “proven economic tools” at Quail Hill Farm in Amagansett. AMAGANSETT–Last Sunday morning, despite torrents of rain, more than 100 farmers, chefs, winemakers and concerned eaters packed into the barn at Quail Hill Farm in Amagansett to share coffee and berry cobbler and to meet Senator Kirsten Gillibrand. And when the Senator stepped out of her car and onto a Ronnybrook milk crate to address the crowd, a blast of freshness and enthusiasm swept over the humid room, accented by the braids of just harvested garlic drying in the rafters. Part of a recent series of listening sessions Gillibrand has been holding throughout the state in anticipation of next year’s renewal of our nation’s major food and farming policy, the Farm Bill, this South Fork stop included rapid-fire questions and discussion on everything from factory farming (and how to replace it) to military operations in Afghanistan (and how growing food could be part of the healing process for veterans). Among the major themes the Senator discussed were the security implications of food and how we grow it, why we should reward farmers for conservation not production, and how a food-related fix might reduce our healthcare liabilities while putting money in the pockets of farmers and the American public. Gillibrand envisions a different path—one defined more by “wellgrown food” that is an integral part of economies throughout the country. As the first New York Senator, in nearly four decades, to sit on the powerful Agriculture Committee, she may be in a good position to make that shift happen. Is she daunted by the task of proposing such forward thinking ideas to fellow committee members who hail mostly from the middle of the country? No, she says, since there is no shortage of good ideas to consider. Or consider, amidst the current market panic, the awesome potential for rectifying current food-related healthcare liabilities. Gillibrand noted, for instance, that the annual cost of treating diet-related conditions like obesity and heart disease total in the hundreds of billion dollars each year. Over a few years, that adds up to several trillion dollars in national health care costs. Eating better–as well as growing the sorts of crops that can help us eat better and getting them into people’s kitchens through CSAs, cafeteria-buying and other innovative programs–can slash those costs, while giving a boost to rural economies. Gillibrand told the crowd she was inspired by the blossoming of small-batch vintners, cheesemakers, distillers and other startup food businesses. But she said most of our nation’s agricultural investment, the Farm Bill included, isn’t helping these businesses. She’d like to see a Business and Industry Guaranteed Loan program to help farmers invest in food processing, retailing or other related businesses that give farms an “essential secondary revenue stream.” As the Express reported, Gillibrand was proud to call New York “the center of Greek yogurt in the country,” noting that nationally recognized brands like Chobani are crafted in New York. Three major national labels, Chobani, Fage and Siggi’s, have production facilities in Upstate New York, with other smaller producers launching operations. She noted that the current Farm Bill included the first significant shift of commodity payments towards supporting growers of non-commodity or “specialty” crops—things like kale or Greek-style yogurt for that matter–and she wants this shift to continue in the coming bill. The future seems bright, and not just because it’s high time New Yorkers had more say in how our nation grows food. 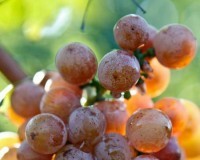 We place in the top three states nationwide in crops like milk and grapes, after all. And more importantly, since most of the country–farmers and non-farmers, alike—stands to benefit from an overhaul of the Farm Bill, what’s good for New York is good for the country. When the applause quieted down, and everyone returned to mingling around the food table, the discussion–naturally–turned to food. “I love pies,” Gillibrand said, as has been told before. Lately she’s been making raspberry pies, and she baked a pair of pies (blackberry, and raspberry-peach) to pair with the savory Maryland crabcakes at the 75th birthday of most senior female senator, Barbara Mikulski.